Alsace is without doubt one of the most beautiful, hospitable and gastronomically-rich of France’s classic winemaking regions. As has been done for Burgundy and Tuscany, I decided to enlist the help of wine and food loving wine-pages visitors who know the area well to help me compile a file of the best places in the area. My thanks to all whose notes are included below. I was based in Marlenheim and enjoyed a wonderful meal at the restaurant Le Cerf (30 rue du General de Gaulle. Tel: +33 (0)3 88 87 73 73). With two Michelin stars, Le Cerf delivered really good, honest food and service. Rooms start around £70 per night and climb steeply, but there is a cheaper, comfortable Logis de France next door, Hostellerie Reeb (Tel : +33 (0)3 88 87 52 70). Marlenheim is at the top of the Alsace wine route, but it is also just 20 minutes drive from the centre of Strasbourg, so it makes a great base for a few days holiday in the area.One of France’s most famous restaurants, the three Michelin starred Auberge de l’Ill in Illhaeusern (2 rue Collonges Au Mont d’Or. Tel: +33 (0)3 89 71 89 00) is reputedly the best restaurant in Alsace, with the finest wine list. Strasbourg boasts its own 3* establishments too, in Au Crocodile (10 rue de l’Outre France. Tel: +33 (0)3 88 32 13 02) and Burehiesel (4 parc de l’Orangerie. Tel: +33 (0)3 88 45 56 65), neither of which I’ve tried. I’d make appointments with the big producers like Trimbach, Hugel or Zind-Humbrecht if planning to visit, but the wine route has scores of smaller growers offering “open house” during spring and summer. There is a useful web site run by the Conseil Interprofessionnel des Vins d’Alsace, at www.vinsalsace.com. 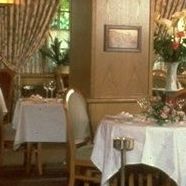 Yixin Ong: I really liked Aux Armes de France in Ammerschwihr , a 1* that used to have more, with a solid wine list and better priced than Auberge de l’Ill. Ask for wines not on the list (there’re lots) and make friends with the sommelier. Sarment d’Or (4 rue du Cerf. Tel: +33 (0)3 89 86 02 86) in Riquewihr was pretty good for foie gras as well. Honestly, with the Michelin and a copy of the Wine Travel series (Hubrecht Duijker wrote the Alsace book), my friends and I survived fine, although it’s a definite plus to have a fluent French speaker in the group. Marc Sparkes: Two realy fantastic restaurants are, first Winstub du sommelier at Bergheim (51 Grand-Rue. Tel: +33 (0)3 89 73 69 99) – great food & very good wine list, second Zum Pfifferhuss at Ribeauville (14 Grand Rue. Tel: +33 (0)3 89 73 62 28) – always busy so book if you can. Wear loose trousers; lots of big food. Bill Nanson: I only live just down the road from Alsace (50 minutes to Eguisheim), and would say it’s quite difficult to go wrong with the food places. I recently tried ‘Wistub du Sommelier’ in Bergheim (closed Tuesday evening and all wednesday), 5 minutes walk from Marcel Deiss, under the tower at the top of Bergheim , only 50 yards down the road on your right. Lovely food, unusually varied wine carte for the region, and very reasonable prices. My best foodie experience was in Maison des Têtes (19 rue des Têtes. Tel: +33 (0)3 89 24 43 43) in Colmar this summer. A (six course) menu gourmand over about 3 hours in the courtyard. I think about £36 a head for the food – top quality. If you really want to go for it, Au Fer Rouge (52 Grand-Rue, Colmar. Tel: +33 (0)3 89 41 37 24) has 2 or 3 Michelin stars – but I’ve not tried it. Come to think of it Maison des Têtes might have one too. Melvyn Crann: If you’re inclined, and the weather is favourable, there’s a nice little triangular walk you can do through easy-to-spot tracks through the vineyards between Zellenberg, Hunawihr, and Riquewihr (then back to Zellenburg to pick up the car). This gives the chance to visit in Zellenberg: Jean Becker; inHunawihr, Mallo (Madame is charming – no English), Sipp-Mack (the wine maker has very good English, is very chatty and likeable) and had some good value vendange tardive Pinot Gris when I was there; Mader is also said to be very good. Riquewihr, of course, is stuffed with wine makers – the prices generally seem to be higher than in the other villages, perhaps because there are more international names. If you go to Eguisheim there are also many good producers: my favourite is Bruno Sorg (especially the old vine wines), but also Charles Baur and Beyer.Bill Nanson: I only live just down the road from Alsace (50 minutes to Eguisheim), and would say it’s quite difficult to go wrong with the food places, but you need to be a bit more focused with the wine. There are a couple of Freundenreich’s in Eguisheim, the better of the two (in my opinion) is the one on the right as you walk into the village, just before the village centre – Very cheap (£4/5 for a Grand Cru), also very tasty, but I find the wines often lack concentration. Two excellent, but well known, adresses only 5 minutes (drive) apart, are Trimbach in Ribeauville and Marcel Deiss in Bergheim. It’s not so easy to find a merchant with a comprehensive range of Alsacienne wines as usually the merchants carry a single (or sometimes two or three) producers wines. There is a shop in Guebwiller which has some good stuff but I can’t remember the name. I also like La Sommelier in Colmar (in the square near the big church). You can even buy ’98 Rousseau, Chambertin there, at less than half the price of certain UK merchants (710FRF). Marc Sparkes: in Eguisheim, Bruno Sorg‘s wines are magic; they are a must visit. Also, Albert Hertz, Ernest Burn at Gueberschwhir (all Grand Cru wines, first class and realy good value). If you are in the north (Bas-Rhin), Andre Ostertag at Epfig is always a very interesting visit with bargins to be had if you love Gewürztraminer & Rieslings all his wines are bio-dynamic.